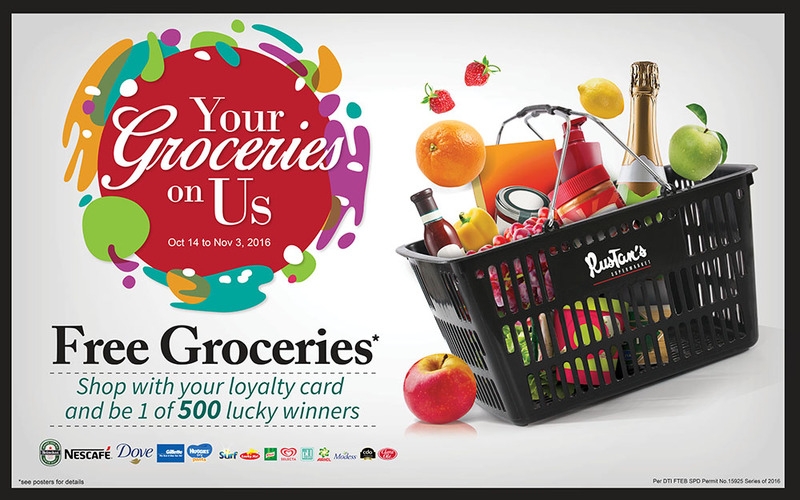 Win free groceries from Rustan’s Supermarket via its exciting anniversary promo. Join Rustan’s Supermarket’s anniversary celebration, and you can even get your groceries for free. Loyal customers receive a chance to be one of the 500 lucky winners of a maximum of P10,000 shopping spree at the country’s premier supermarket for high quality products from all over the world as it launches the exciting Your Groceries on Us promo. Fresh, MP, and Sapphire cardholders who purchase at least P150 worth of items with any sponsor product from now until November 3 are eligible to join. Just look out for a congratulatory message to appear on your cashier’s monitor to find out if you’re one of the lucky 500! Enjoy great rewards whenever you shop at Rustan’s Supermarket.